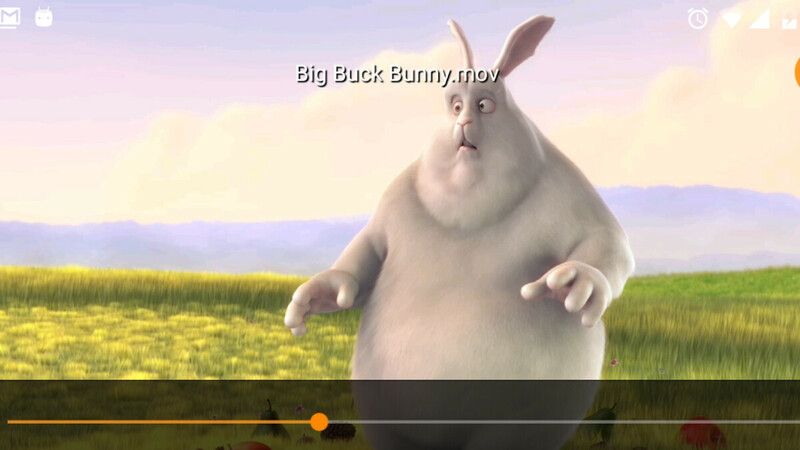 When it comes to Android media players, it’s pretty hard to find a simpler to use, more feature-packed, versatile and popular title than VLC. The free and open source app might not be updated as frequently as some of its rivals, but that hasn’t stopped non-profit organization VideoLAN from amassing over 100 million Play Store downloads and an average of 4.4 stars based on more than a million reviews. Obviously, VLC’s mobile success is owed in large part to the fact the app serves no ads, has no in-app purchases or hidden fees, and no built-in spying code. You can easily play essentially any video and audio files out there, as well as network streams, network shares, and drives, on any Android device running OS version 2.3 and up... except for “recent” Huawei handsets. Wait, what? It’s true (and kind of ridiculous), as the passionate volunteers behind the development and evolution of the VideoLAN project have taken the drastic measure of blacklisting certain products from the world’s third-largest smartphone vendor. This obviously has nothing to do with Huawei’s recent struggles of penetrating the US market, but rather the company’s “ridiculous policy of killing all background apps.” All background apps except those developed by Huawei, which is a sketchy tactic in itself. What’s worse is VLC’s widely praised audio background playback functionality is impacted by this unusual policy, which in turn forced Videolabs to strike back. Cool. Everytime seeing Huawei/Honor phones face the brunt is awesome. It is the shadiest company from China with deep ties to it's communist dictator government. Xiaomi, BBK ones(Vivo,Oppo, OnePlus) etc are all much better. That's some nice racism there buddy. Don't see you crusading against Apple, Google or MS being complacent in prism and their deep ties to the state (you know, the ones which sanctioned the NSA and GCHQ). Chinese isn’t a race. Ethnicity or nationality fit your narrative much better in context. "A race is a grouping of humans based on shared physical or social qualities into categories generally viewed as distinct by society." From the Encyclopedia of Race, Ethnicity and Society. The word has a wider context than it was originally defined for, so please look things up next time. Asian is a race. Chinese is a nationality that happens to be mostly Asian. They are different things young man. Disparaging a particular Chinese company whilst praising other Chinese companies is clearly not racism. Well you referenced their origin specifically instead of just calling them a shady company. I don't know what them being Chinese has to do with anything if they're being shady. Them having ties to the "communist dictator government" of China is basically the same as Apple has with the gov't in China and with the US here for example (at least what is based on actual evidence) so I don't see how they can be bad when basically everyone else has the same relationship. See post 9 for definition. You are obviously placing racism where there is none. You're grabbing at straws now. Your original comment was nonsense. "Google Play reviews without actually doing anything wrong" Google Play reviewers are some of the dumbest people on the planet. I thought Youtube was already bottom barrel, but damn..Google Play. Seeing some giving 1/5 stars to an app even though they don't even have the blatantly obvious compatible hardware is not uncommon. Huawei phones let you whitelist apps so they can run in the background just adding vlc to the whitelist solves the problem as Huawei phones kill background apps. ^^ This. Emui and miui both kill background apps by default and allow whitelisting. The developers of VLC need to pull their heads out of their a$$es. Shouldn't it be the other way around (all apps whitelisted by default)? Do you like it when network service providers automatically opt you into a service and requires you to manually opt out? If you don't like an app keeping background service(s), you should be the one to blacklist it! All the OEMs need do is provide the option. Don't knock it until you try it. The reason it's that way is because not all apps are coded or optimized well and some tend to try all sorts of stuff in the background (Facebook being a notorious example). The granular permissions in miui and emui allow you to decide if/how/when they can wake the phone. In the case of miui that's one of the secrets to the excellent battery life across all Xiaomi devices. It's an aggressive in built Greenify on the system level.